News of mill curtailments in central BC are devastating but not surprising given log shortages due to the Mountain Pine Beetle and forest fires. In other Business news: strike action looms in BC; beetle-killed timber an opportunity for Colorado; Northern Pulp seeks public support for effluent pipe; and Boise Cascade to close its North Carolina LVL plant. In Forestry news: Trump repeats disputed claim that forest management is to blame for California’s wildfires; but according to the San Francisco Chronicle, it rings true—to a degree. Elsewhere, stories of concern about: Canada’s endangered species; BC’s elusive wolverine; Cape Breton’s moose cull; Alaska’s roadless rule; and Australia’s koala colonies. 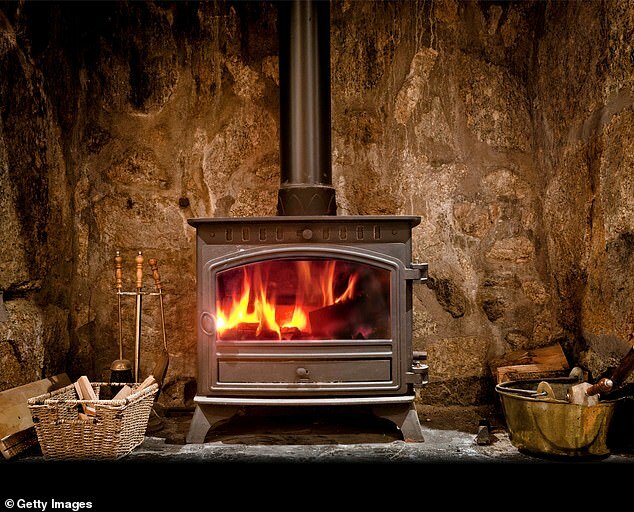 Finally; the silent killer in our homes… wood burning stoves! The news this week that West Fraser is permanently getting rid of its third shift in its sawmills here in Quesnel and in Fraser Lake was surprising, and a little scary. With a company the size of West Fraser, it’s easy to feel a false sense of security that these things won’t affect one of our city’s largest employers. But of course, the changes to our environment are having a huge impact on the forestry industry, and West Fraser is not immune to these effects. As West Fraser told the Observer, the production cuts are due to log shortages, not market conditions (although they did concede that travelling farther afield, outside their timber supply area, for logs has become no longer economical as prices rise). And log shortages are due to … Mountain Pine Beetle, as well as the forest fires B.C. has experienced in the last two years. The last federal census confirmed what is painfully obvious for most longtime residents of the region. Prince George’s population is holding steady and even growing slightly but for hundreds of kilometres in every direction, the rural areas are emptying out, and fast. The news this week was devastating, for Quesnel and Fraser Lake in particular. West Fraser is permanently shutting down the third shift at its sawmills in those two communities, putting 60 employees out of work in Fraser Lake and another 75 in Quesnel. That was the second punch in the gut in as many months for Quesnel. …Factor in the significantly reduced levels of available trees to harvest, a problem that won’t improve for decades thanks to the mountain pine beetle epidemic and the increasing frequency of wildfires, and it becomes easier to understand why B.C.’s forest companies are looking beyond provincial and national borders for business opportunities. Forestry workers across the Kootenays could soon launch rotating strikes as talks between the United Steel Workers and the Interior Forest Labour Relations Association have broken down. Operations in the East and West Kootenay that may be affected by the action include the Interfor Castlegar Sawmill, the Canfor Elko Sawmill, the Canfor Radium Sawmill, Canfor Woodlands, the Galloway Sawmill, Stella Jones Pole Plant in Galloway, and the Louisiana Pacific LVL/Plywood Plant in Golden. Approximately 875 Kootenay workers may be affected. According to a Facebook post released by United Steelworkers (USW) president Pat McGregor, the Southern Interior region’s USW operations will be in official strike position on Nov. 21 at approximately 10 a.m. The USW Bargaining Committee resumed talks on Nov. 2 with the Interior Forest Labour Relations Association (IFLRA), an organization representing forestry employers. The committee represents USW Locals in Kamloops, Kelowna, Cranbrook and Prince George, including 2,600 members in the south region and 2,000 members in the north region. …“After making some very significant moves to break the logjam between the two parties, the industry still insisted on keeping concessions on the table and dictating conditions on bargaining,” said Bob Matters, USW Staff and lead negotiator after three days of mediation in Kelowna. 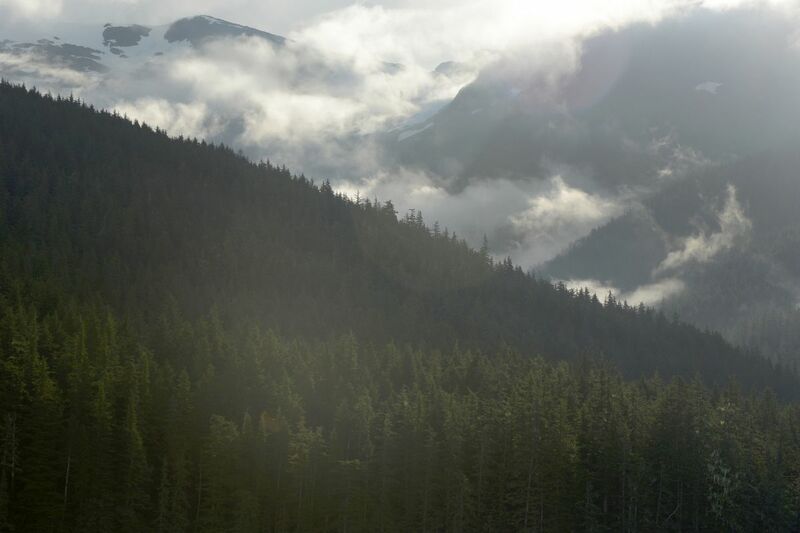 By Alberta-Pacific Forest Industries Inc.
CHICAGO – Alberta-Pacific Forest Industries Inc. has won a 2018 Forest Stewardship Council Leadership Award for its work managing more than 14.5 million acres of FSC-certified forest, the largest contiguous area certified in the world. 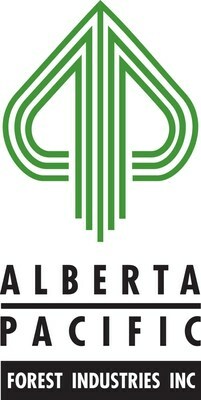 …”Alberta-Pacific manages the largest contiguous FSC-certified area in the world and our team works hard each and every day to operate in the most environmentally responsible and socially beneficial manner possible.” The FSC Leadership Award recognizes excellence in the use of FSC certified products and commitment to responsible forest management. These annual awards recognize individuals and organizations dedicated to protecting forests through FSC. …the FSC Leadership Awards continue to recognize excellence in green building, while also celebrating other products, organizations and leaders in the FSC community. 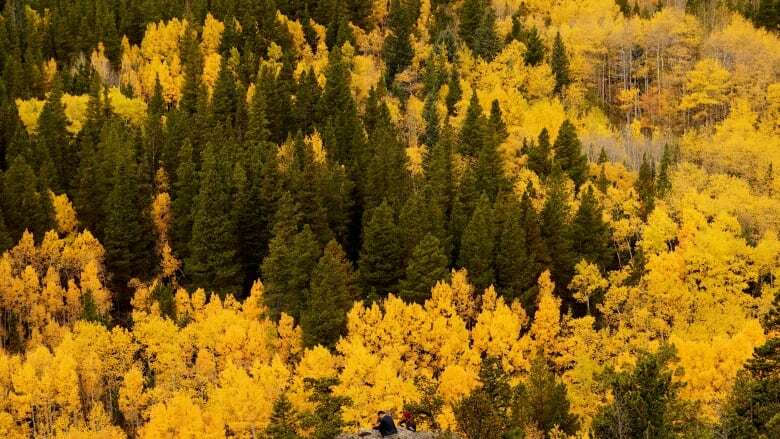 FRISCO — The mountain pine beetle has devastated one-fifth of Colorado forestland over the past couple of decades, but the lumber and alternative energy industries have been able to make good use of the wood from these blighted forests. Routt, Eagle, Grand and Summit counties were among the hardest hit, with thousands of acres of forest wiped out. The Colorado State Forest Service estimates the mountain pine beetle epidemic killed 3.4 million acres of forest across the state. That’s about 800 million dead trees that are potential fuel for the next wildfire. “These dead trees have provided a large supply of available timber that these local mills,” Granby District forester Ryan McNertney said. Just weeks removed from the joyous announcement of a new manufacturing facility planned for Person County, another company has announced it will layoff more than half its workforce. Boise Cascade has said it will close one of its two Roxboro divisions, resulting in the layoff of 56 workers in the laminated veneer lumber division. In a press release posted on the company’s website, CEO Tom Corrick said efforts to control expenses in that division had failed. “Unfortunately, despite great effort by the team, we have been unable to reduce manufacturing costs to an acceptable level,” Corrick said. The company will end its laminated veneer lumber production operation Dec. 31. Thanks in part to an Ashlander’s help, the rebuild and restoration of the 1872 Butte Creek Mill is on time and under budget… Massive 30- and 40-foot fir timbers tower over the footprint of the mill, an exquisite example of timber framing. “It’s a really important project because it’s preserving the history of timber framing in our area,” explained Ian Dilworth with Treeborn Timbercraft of Ashland. 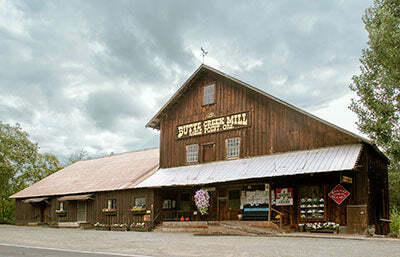 “There are not a lot of structures that are built like this mill was built and are still around, so it’s great to be able to build it back the way it was.” The Butte Creek Mill in Eagle Point was destroyed by fire in December 2015, but some of the foundation structures remain, and some of the old, burned beams were still in place. Dilworth used these old beams to understand how the original timber members were joined together, matching original construction to new work. Could this building material save California homes from future infernos? A futuristic building material is being touted by its manufacturer as the environmentally friendly and fire-resistant material California needs for a sustainable future. 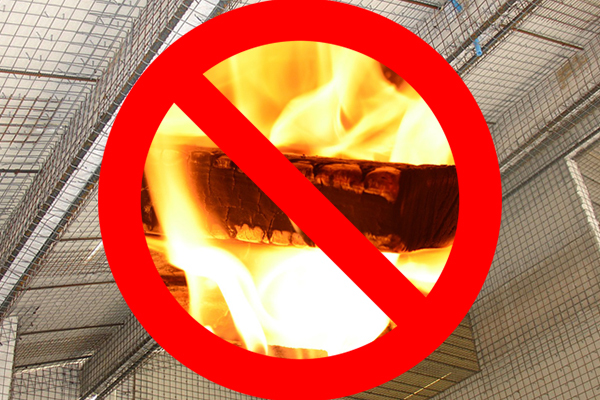 RSG 3-D is a “cementitious sandwich panel” system with no combustible materials that can be subject to an open flame for two hours before catching fire, according to CNBC. The building material could allow houses to fare better than the state’s widespread wood-frame homes now burning across northern California in the latest wave of deadly wildfires. The panels are made of a polystyrene core, sandwiched between a steel wire grid frame that penetrates through the core. …Construction company Hutter Pioneer is building with the materials currently and its COO Geoffrey Evancic claimed the system is also superior to wood in terms of energy efficiency. 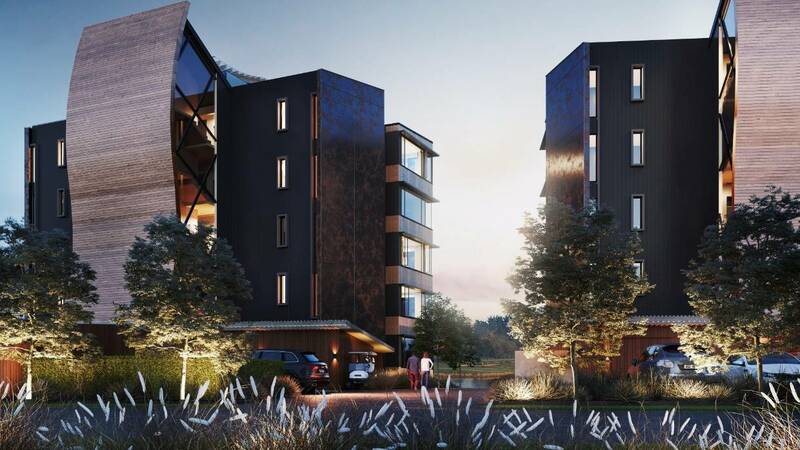 Apartments in a showcase five-storey wooden building at Clearwater in Christchurch will be priced at up to $2.5 million. The apartment building is to be constructed of engineered “mass” timber to demonstrate how these building materials can best be used in mid-rise buildings as part of a government initiative to boost the use of timber in construction. …“The whole project is a show case/case study on best practice and how to build with various timber solutions to achieve cost savings and the speed saving available from construction in timber,” Verry said. MONTREAL — Canada may be known for its wide-open spaces and wildlife, but the federal and provincial governments need to dramatically increase their efforts if they’re to save the country’s endangered species, conservationists say. A World Wildlife Fund report last month created alarm with its finding that global wildlife populations dropped 60 per cent over the last 40 years, and recent data shows the situation in Canada is not a lot better. A WWF report last year found that Canadian mammal populations dropped by 43 per cent, amphibian and reptile populations by 34 per cent and fish populations by 20 per cent over a similar time period. Some types of birds have lost between 43 and 69 per cent of their populations….Margot Venton, a lawyer with the environmental law group Ecojustice, says part of the reason for the declines is that the regulatory framework is full of holes and is often ignored by governments. …This fourth report by the Environmental Law Centre on professional reliance at the University of Victoria was requested in the fall of 2017 by the new NDP/Green party came out in July of this year. …Battle lines are forming with Council of Forest Industries (COFI), calling for the report to be scrapped, while environmental organizations like the BC Coalition For Forestry Reform (BCCFR) is calling for all of the recommendations to be implement immediately. In order to reduce the political posturing, I suggest a review of the ELC report that came out in 2015 after more than a decade of implementing “reduced civil service and red tape” forestry experiment and before the election of a new minority government. …The focus was to shift from reliance on government bureaucrats to professionals in the private sector. …This was the “new era of professional reliance” or sometimes called “results-based forestry” when discussing the forest industry. VANCOUVER — A new project aims to find out more about the life and lifestyle of the ghost of the deep forests of British Columbia, the wolverine. The Habitat Conservation Trust Foundation along with the Forest Enhancement Society of BC will undertake a project to study the range, movements, and habitat of wolverines in the south coast region, including Squamish. Brian Springinotic of the Habitat Conservation Trust Foundation says it is important to study these creatures because human activity and climate change may be having a significant impact on them. It is also important to understand what and how far ranging those impacts are, he says. Support is continuing to flood in for the Carmi Trails Recreation Group’s initiative to stop the logging slated for near the Pine Loop, Squirrel Loop and Fir Loop trails located 10 minutes outside of Penticton. Neda Joss, one of the organizers with the group, said that there was a full house at their meeting on Nov. 12 that outlined B.C. Timber Sales (BCTS) plans regarding the cut blocks in the area, and what she and others had learned on a guided field trip with BCTS on Oct. 12. The clear cut would see the widening of these recreational trails for logging trucks to access the area, something Joss and others are against because it would threaten the natural landscape of the trails. “We went through a PowerPoint presentation and filled people in on what BCTS had proposed to us on Oct. 12.,” said Joss. Nova Scotia — Residents near a proposed 20-hectare forestry operation in Annapolis County say the province should pause and take another look at the project. …Fredericks says the harvest will encompass much of the 30 to 40 hectares of Hardwood Hill, and local residents are concerned about impacts to biodiversity and the local ecosystem. He said residents have several concerns, including that the proposed harvest area includes a mixture of mature and old-growth Eastern Hemlock, and immature beech trees that are not ready for harvest. …He also said beechnuts and cavity trees support species including barred owls, flying squirrels, porcupines and black bears, and said selective cutting should be the preferred method. When a Mi’kmaq hunter shoots a moose in Cape Breton Highlands National Park, the meat feeds children, hides are used in clothing, and there’s one fewer ungulate damaging the park’s vulnerable forest. However, some citizens question whether an average taxpayer price tag of slightly over $7,900 per animal has been justified. More than 120 moose have been killed since the program was introduced three years ago. …Park conservation manager Rob Howey argues the harvest of 122 animals from an estimated herd of 1,800 since the fall of 2015 has been a worthwhile expenditure. …“We’re going to take back all the results analyze and determine what the best approach might be to restore the boreal forest. 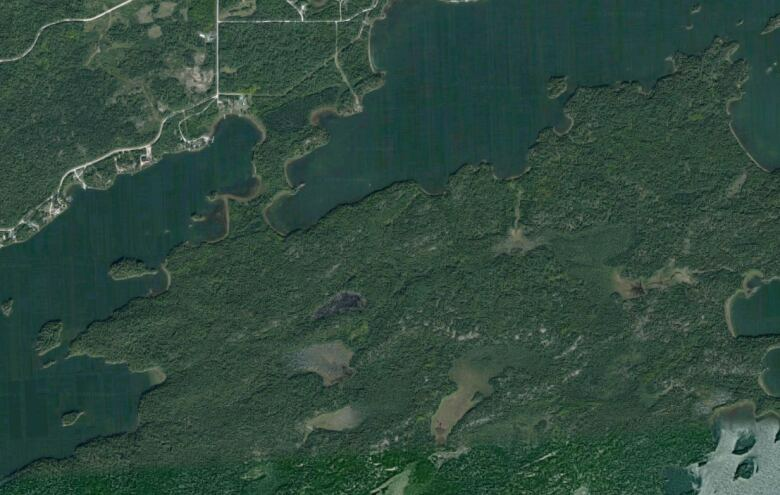 A First Nation in northwestern Ontario and a local conservation group want a piece of land that extends into Eagle Lake near Dryden removed from future forestry management planning and set aside so it becomes permanently off-limits to logging. That comes as the company that holds the sustainable forest licence for the area that includes Farabout Peninsula says it hasn’t yet determined how much, if any, harvesting it intends to apply to do on the peninsula within the timeframe covered by the next planning period. Work is underway to develop the next forest management plan for the years 2021 to 2031. Forest management plans effectively dictate how woodland areas in Ontario are managed, including guidelines around logging, development of infrastructure, like roads, as well as sustainability and renewal. PARADISE, Calif. — President Trump walked through the ashes of the Northern California town of Paradise on Saturday, promising to help the state recover but repeating his disputed view that forest management was to blame for the fire, the most destructive in California’s history. The president, expressing shock at the scale of the devastation and praising the efforts of emergency workers, offered much more conciliatory words than he had used a week earlier when he accused state officials of mismanaging California’s forests and threatened to withhold financial assistance. …Mr. Trump repeated his view on Saturday that forest management — the partial clearing and cleaning of brush from forests — was partly to blame for the string of immense and deadly wildfires in recent years. …The death toll of the Camp Fire, now at 76, has climbed steadily as a team of more than 500 specialists searches for human remains. 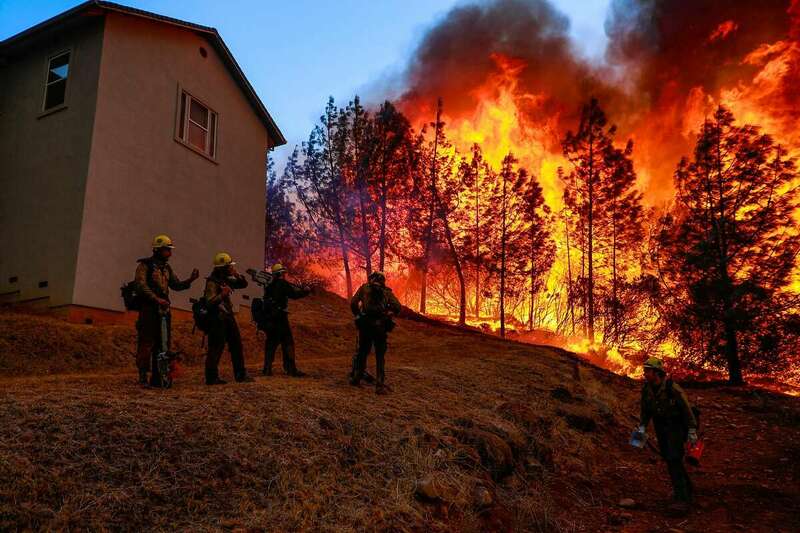 “A century of mismanaging Sierra Nevada forests has brought an unprecedented environmental catastrophe that impacts all Californians.” That’s not a tweet from President Trump, but the opening line of a February report by California’s Little Hoover Commission investigating fire danger in the state. “The immediate crisis is visible to anyone who has traveled recently in the Sierra Nevada, especially in its southern range,” Commission Chairman Pedro Navawrote in the cover letter for “Fire on the Mountain,” an 82-page report. The report outlines factors that have led to the current forest crisis, including years of poor or nonexistent management policies, and the recent drought and a beetle infestation that killed an estimated 129 million trees across the state — trees that could go up in flames. Still, Nava was a bit taken aback by Trump’s Nov. 10 tweet blaming the state’s “gross mismanagement” for the fires. From the North Slope to the Panhandle, and the Interior to the Peninsula, rural Alaskans are prioritizing their access – to each other, the rest of Alaska and the world.Cost is often the limiting factor. But not always. Many community leaders want to improve access without jeopardizing the unique character and resources of their communities. It’s literally a fight for survival for some small communities. For others, it’s part of a long-term plan to become more sustainable.One of the regions where the state of Alaska is working with local communities and stakeholders to increase rural access and connectivity is Southeast Alaska, where the U.S. Forest Service is taking a fresh look at how it manages roadless areas in the Tongass National Forest. CORVALLIS, Ore. – Forests in the Pacific Northwest will be less vulnerable to drought and fire over the next three decades than those in the Rocky Mountains and Sierra Nevada, computer modeling by researchers in Oregon State University’s College of Forestry shows. The findings, published today in Global Change Biology, represent an important tool for scientists and land managers because woodlands throughout the western United States are under increasing stress from accelerated rates of drought-related mortality related to global, human-caused climate change. Also, the Northwest’s hemlock, Douglas-fir and redwood forests have tremendous potential to counteract climate change via their carbon-sequestration abilities, meaning policies that promote stewardship of those forests is critical, the scientists say. 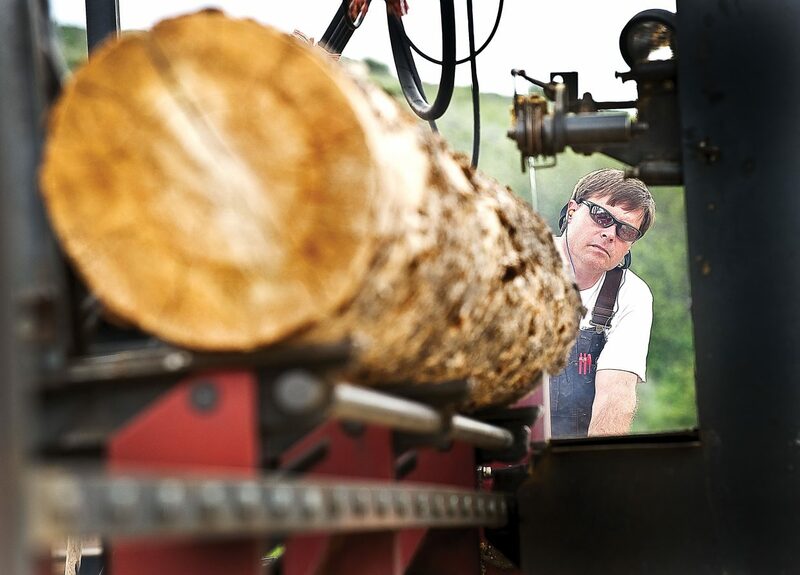 JACKSON COUNTY, Fla.- You could say Kim Barber comes by the timber industry naturally. “We moved up here from south Florida in ’95,” Kim said. “My family, we own Chipola Timberland.” The family owns roughly 7,000 acres of trees–many of which are now on the ground after Hurricane Michael. “I’m still hoping I’m in a dream and I’m going to wake up in the morning and everything’s going to be back to normal, but it hasn’t happened yet, so I guess this is the new normal,” Kim said. Each year, the Barbers clear cut and replant, but recent heavy rains have also posed challenges. Environmental groups have slammed the decision by the Berejiklian government to open up more areas of the state’s coastal forests to logging, a move they say will ravage wildlife habitat including precious koala colonies. The government has announced new logging areas on public lands as part of its overhaul of Integrated Forestry Operations Approvals, saying it would provide job security for the state’s $2.4 billion forestry sector while delivering “improved protections for environmental sustainability, biodiversity and key threatened species”. …A remapping of high-conservation old-growth forests would also allow cutting trees to within five metres of headwater streams, instead of 10, while loggers would no longer have to identify and exclude high-use areas for koalas, they say. Dejan Stojanovic was aghast. The biologist had pulled to the side of a remote dirt road in southern Tasmania, expecting to find the stately blue gum forest he’d frequented for years. He had come in search of the rare swift parrot, known to nest in the nooks of old local trees. But the bulldozers had got there first. Only disfigured brown earth remained. “I was enraged,” Stojanovic says, recalling the day in November last year. “This giant patch was taken out of the landscape. It was flattened. There were just stacks of logs and mounds of woody residue with heavy machinery parked in the middle of it. It was pretty shocking.” Scientists had been monitoring the site for a decade, gathering valuable data on the critically endangered swift parrot. Just 2000 remain in the wild. In the Cariboo Region with the ongoing impacts of the bark beetles along with the recent mega fires two years in a row there are new needs for research and development projects. …What species and species mixes may be the best to cope with drier climates and impending shortfalls in the short and midterm fibre production. …There may be some answers from work being done on a research site south of the University of Alberta. Canadian Wood Fibre Centre staff have been planting and evaluating fast growing poplar, aspen and willow species with some amazing production rates. …While I would not be in favour of huge areas being planted to hybrid species there could certainly be economic advantages to have some of these stands surrounding any biomass facility. Wood-burning stove may be doing the British atmosphere more harm than good. The smoke they produce is almost invisible, particularly when compared with smogs. Scientists measuring air have proven that wood-burning is not a thing of the past. …wood fires are choking the British atmosphere, adding to the smoke particles from traffic, industry and farming that cause thousands of preventable deaths. Although barely discussed, the evidence is shocking: just one of the latest ‘eco-friendly’ wood-burning stoves – those meeting all European tests – can produce about six times more particle pollution than a modern diesel lorry, or 18 times more than a modern diesel car. Worse, still, they release their fumes into residential areas and at times when people are likely to be at home. …As we suspected, a great deal of wood was being burned and it was making up ten per cent of the particle pollution that Londoners were breathing during winter.